Jim Eckl hopes to bring his decades of public service into action as a member of the Town Board of New Baltimore in 2017. Jim Eckl is running for one of two open New Baltimore town council seats in this November’s general election. He is a 36 year resident of our town, and has demonstrated his commitment to New Baltimore as a 20 year volunteer firefighter, and as a member of the town Zoning Board of Appeals for more than four years, with part of his tenure as vice-chairman. He is very experienced in town zoning and land use law, and cares very deeply about the people of New Baltimore. Jim is a skilled attorney, with extensive knowledge of town and state law. 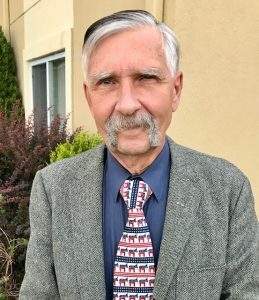 He was a Greene County assistant district attorney, and spent many years of his life as a long-time associate attorney with the New York State Department of Environmental Conservation, specializing in the enforcement of hazardous waste siting and disposal laws, including oversight of Superfund Sites, needing remediation and state involvement to keep communities safe from toxic substances. Jim also served our country as a veteran of the Vietnam War. Retired now after many years of dedicated public service, Jim has decided to offer his experience and commitment to New Baltimore, yet again, as a member of the town council. With all of his knowledge, and his almost 40 years of being our neighbor here in New Baltimore, Jim Eckl will continue to place the welfare of our town and its residents first, in everything he does.